Critters like Hawks, Geese, Ducks and Snakes don't use their sense of smell as their primary protection against predators. So we have developed these products specifically to meet the challenges that these pests provide. 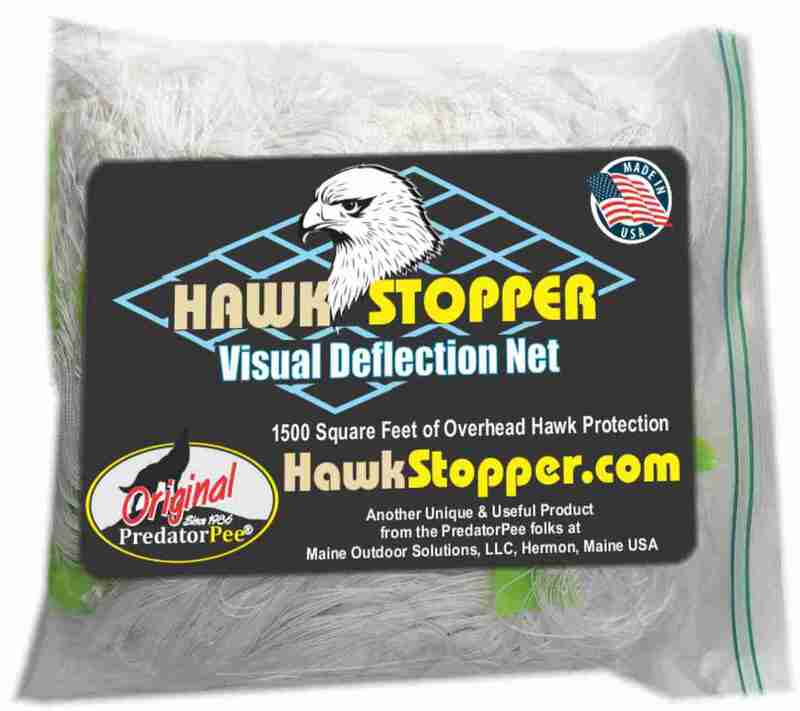 HawkStopper is a Visual Deflection Net that turns the hawks own keen eyesight into a effective tool to protect chickens from hawks. 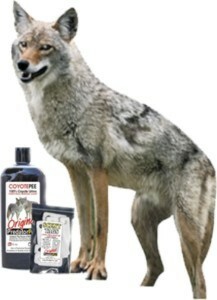 Our PeeCoy combines the visual deterrent of a coyote decoy with the scent of CoyotePee to deter geese, ducks and other birds. SnakeGuard is a uniquely effective humane trap for all snakes.